Allianz Park will become home to teams from schools across Middlesex at the end of November. 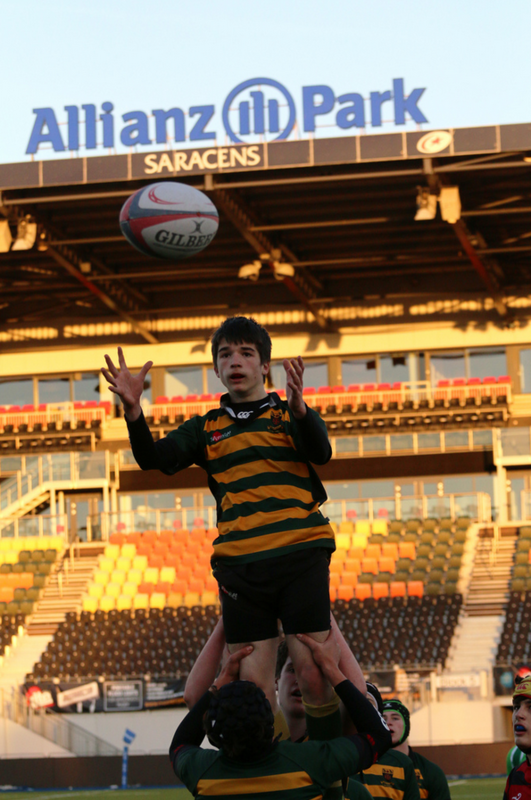 For the fifth year, the famous Saracens’ stadium will host 18 teams from 11 schools across the county competing in the Middlesex Schools Finals, sponsored by iLites. The competition, which takes place on Tuesday 28th and Thursday 30th November, and Friday 1st December, comprises U14, U15, U16 and U18 age groups with the more traditional rugby schools competing for the Cup whilst those newer to the game play in the Plate competition. The competition, which is organised jointly by Middlesex Rugby and the Middlesex Schools Union, brings more than 36 schools together to play over 90 fixtures played throughout the autumn term, culminating in finals played at the iconic North London stadium. “The competition is a great way to get more schools interested and playing rugby, and all the boys enjoy playing in the prestigious surroundings of Allianz Park” says competition organiser Kevin Moran. The finals at Allianz Park run alongside a schools U13 Festival which takes place at St James’s School on Monday 27th November, and an U12 Festival on Wednesday 29th November at Staines RFC. All three events are sponsored by iLite from Phoenix Sporting Goods. Phoenix Sporting Goods was formed in May 2015 to develop products for grass root clubs including rugby. Our success to date has been with the iLite Metal, a portable, efficient and cost effective training floodlight that provides over four hours of optimum training light, but ten hour of continuous light. These allow clubs and schools without permanent floodlights to continue training throughout the winter months. iLites are easlily portable allowing schools and clubs to maintain their pitches as training can be rotated across several areas. We are delighted to be associated with Middlesex Rugby and sponsoring the Schools Finals as we believe this is where grass roots starts.